"I guess you could say that destiny dictated that I was going to be a Veternarian. Both Mum and Dad are practicing Vets and I grew up in the industry"
Dr Kat is the best. She treats my pets (2x guinea pigs and 1 cat,) as if they were her own, with so much love and care. I won't go to any other vet! I worked with Dr. Katria Lovell for four years, & I must say, they were some of the best years of my life. She is one of the most dedicated people I have ever met! She would do anything for any animal in every way possible! Dr Kat and her team have gone above and beyond looking after our very sick Rotti called Brick for the last few days. To stay up all night and heat up roast chicken for him to eat is what makes a committed and special vet! Kat is an amazing vet she has always helped us win our puppies. Also have know her for years she 100% the best vet I have met. So friendly and super good with any animals. 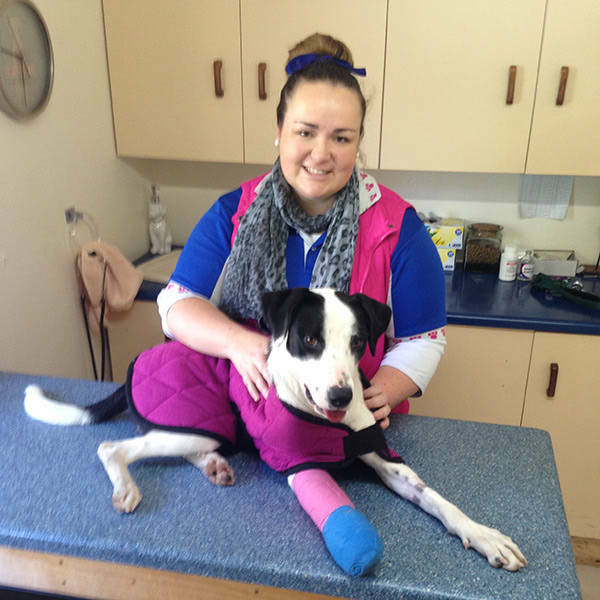 DrKat is an extremely friendly and kind person, and her love for animals is unconditional! She was at the hospital saterday afternoon to prepare and welcome my beloved horse! She looked after her and treated her like her own. She is now back Competeing at top level Thanks to DrKat! We have been seeing Dr Kat for years. She saved our Jack Russell Terriers life when he was very sick. She was with him through his surgery and there each day through his recovery. Dr Kat is a wonderful vet and truely loves her animals. Katria Lovell made my anxious dog a lot calmer when she took her out the back of the vets,when she came back in my dog was so much happier, now she enjoys going to the vets.